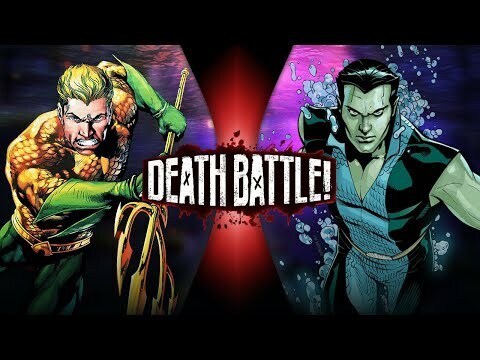 Aquaman VS Namor (Marvel VS DC Comics) | DEATH BATTLE! Who's your favorito Aquaman actor? Is Aquaman your favorito DC super hero? The fans pick: One of my favorites. Aquaman T Shirts from Popfunk! No posts have been made to the Aquaman wall. a video foi adicionado: Aquaman VS Namor (Marvel VS DC Comics) | DEATH BATTLE! a comment was made to the poll: Who's your favorito Aquaman actor?